Class 4. 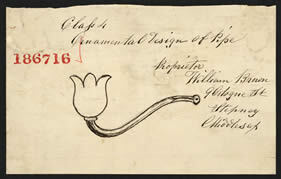 Ornamental Design of pipe. Proprietor William Brown, 9 Cologne Street, Stepney, Middlesex.